I wonder if this is a good habit as I started doing this about 10 years ago since I discovered this recipe at an Aussie backyard party. A Chinese style salad in an Aussie BBQ boozy party??? Odd, isn't it? I was totally surprised when I had a first taste of this salad at my friend's birthday party. I'm 100% sure that I wasn't drunk when I tasted this salad because I can remember and name the drunken friends that threw up in this party... LOL! While my drunk friends were doing crazy things like pole-dancing with the backyard rotary clotheslines, I was busy eating this salad and can't help to ask my friend how she made it. "The recipe is at the back of Chang's crunchy noodle..." she said. Since then, I have been trying out recipes via food packaging. This recipe can be found at the back of these! Trust me! 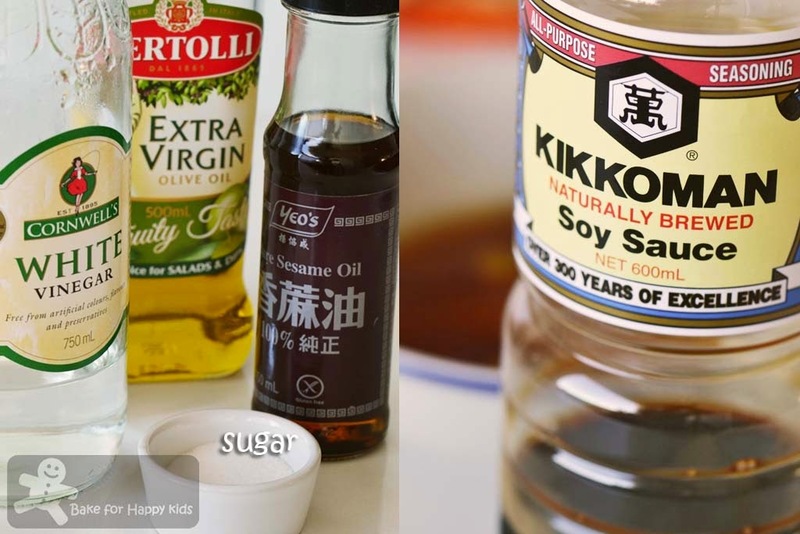 I'm totally impressed too that these basic ingredients can create such a beautiful salad dressing. 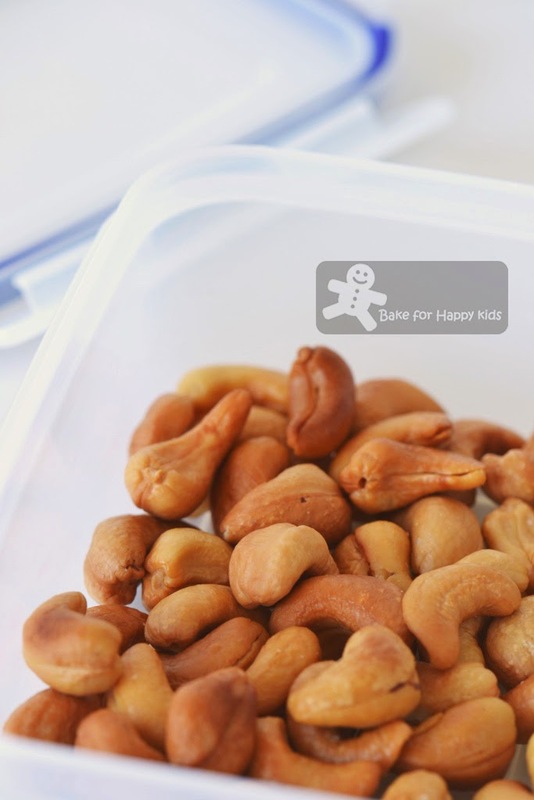 For a nutty crunch, I have also deep-fried these cashew nuts to serve with salad. I'm too lazy... I'm using this ready-to-use coleslaw instead off shredding the cabbage myself. Add chopped spring onions and combined dressing and allow salad to rest for 30 mins. Toss in the nuts, crunchy noodles and chicken just before serving. Delicious, isn't it? Told you... I was not drunk when I first had this!!! Mix all the ingredients of the dressing in a bowl. Stir well until sugar is dissolved. 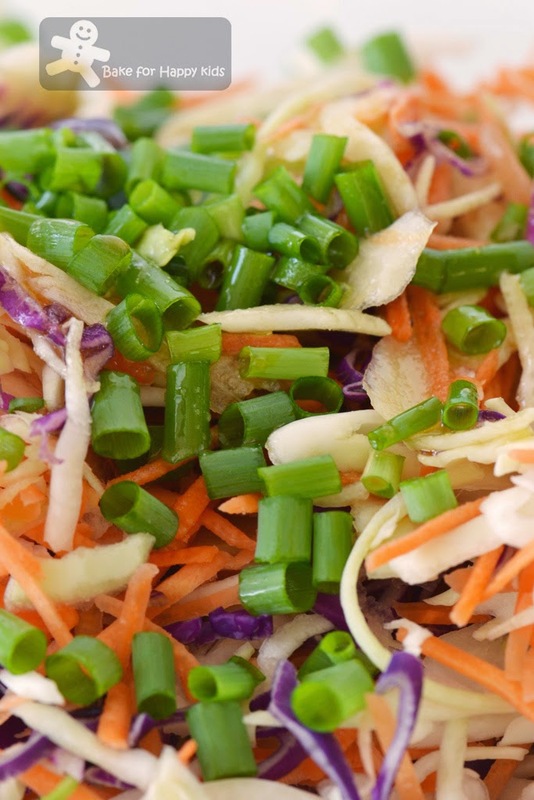 Combine the cabbage or coleslaw mix and spring onions in a salad bowl. Add dressing and mix well and allow it to rest for about 30 mins in the fridge before serving. Just before serving, add the nuts, noodles and pork or chicken. Toss thoroughly and serve. I scroll straight to see the dressing.. 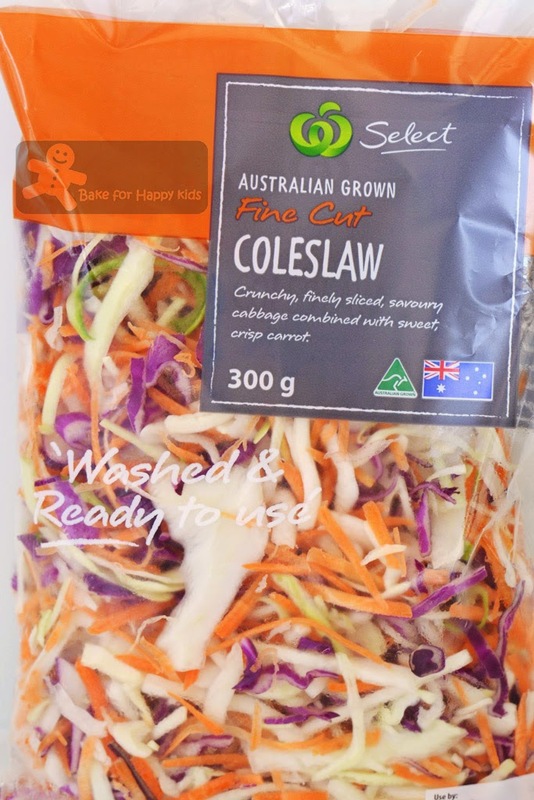 Very simple ingredients.. Just mix everything together only.. That slaw looks good, nothing wrong with using packed slaw, I would do the same too if I want something good and fast too.. Your salad looks very refreshing, I like the crunchy noodles, haha..
aww~with the nuts and crunchy noodles, this salad must be awesome!!! i love it!!! 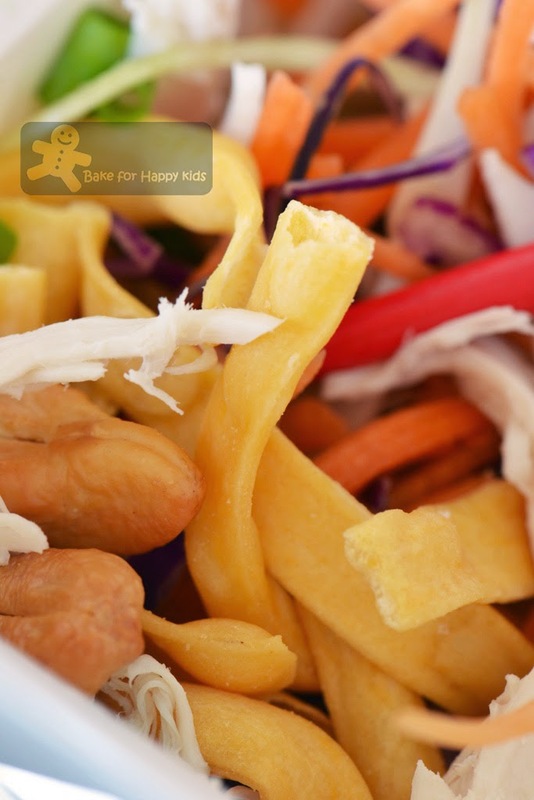 Hi Zoe, your noodle salad looks great, i like this recipe, easy and delicious…! Ha ha ha ha ha! Funny! It must have been a fun party! The salad sounds really good! 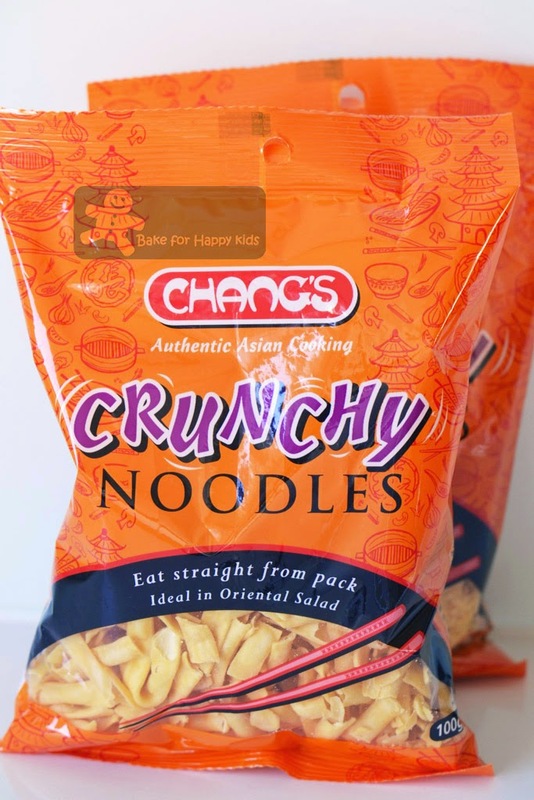 I love salads with lots of crunch, going to look for this crispy noodles in my supermarket this weekend! 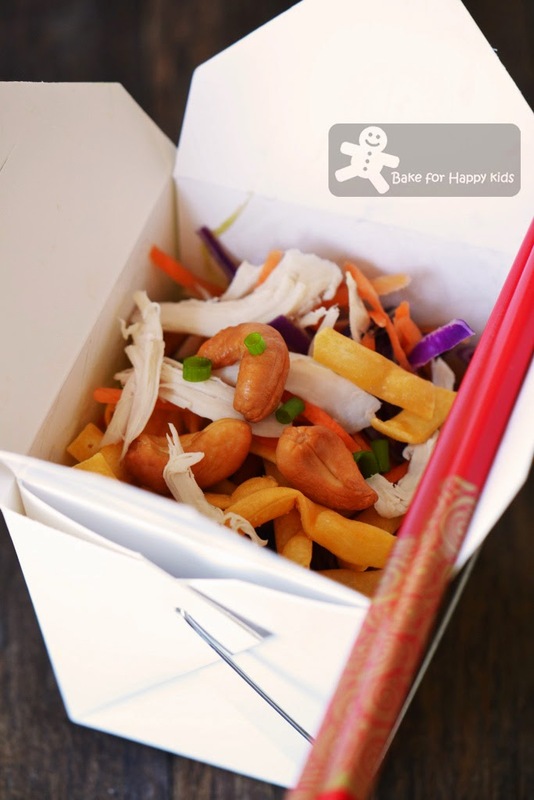 Dear Zoe, ohhh this crunchy noodle salad looks so good and delicious...plus cashew nuts, I love these nuts. Looks delicious! And sounds crunchy! I love the look of this salad Zoe!!! It has everything I like! Such a interesting crunchy noodles salad! Love everything in it! Yum! Hey , some say that the recipe of the best chocolate cookies comes from the back of the packet :D From the look of the recipe , you can never go wrong with it ! Zoe, this is the kind of salad that I could eat til I *POP* ! Yummy! Nice and so easy! You turned boring salad mix into great salad!